Compelling historic and contemporary photographs and supporting text tell the story of the thirty buildings still awaiting restoration on Ellis Island’s South Side. Comprised primarily of hospital buildings used to treat nearly 250,000 ill and infirm immigrants, the project to reuse these important buildings is the largest historic preservation effort ever to be undertaken. 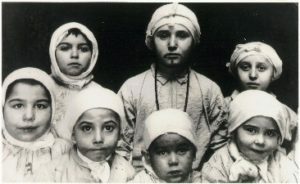 diseases treated in the Ellis Island hospitals.